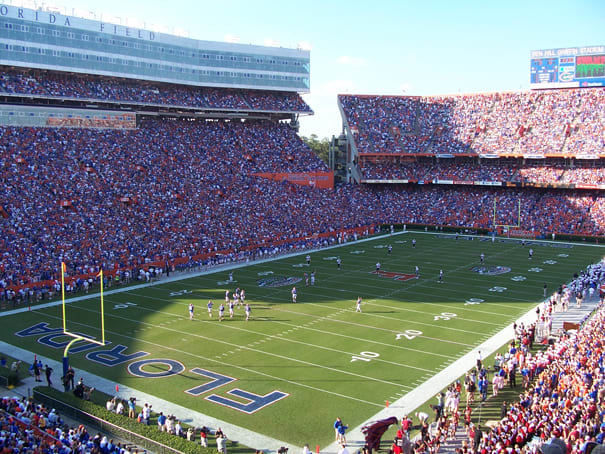 The Swamp is one of the best gameday venues in the world and also one of the best home field advantages around. The low-lying playing field with steep stacked seating structure intensifies the hot, humid Gainsville climate, and funnels noise onto the field to create a swampy, roaring pit that visitors have to try and fight their way out of. Fortunately, we recommend you just watch from the stands and cheer along with everyone else.